The Senate passed a resolution, inked with purple text, Wednesday night honoring the late pop star Prince, who died last week at 57 years old. Minnesota Sens. Amy Klobuchar and Al Franken introduced the resolution -- meant to pay tribute to the life and achievements of Minneapolis-born Prince Rogers Nelson, "a musician, composer, innovator, and cultural icon" -- after Prince's sudden death last week. "While the Senate may disagree on a lot of issues, today we agreed on one: Prince was a one-of-a-kind artist, fiercely independent and uniquely talented," Klobuchar wrote after the Senate voted. "For Minnesotans, Prince was our superstar next door. 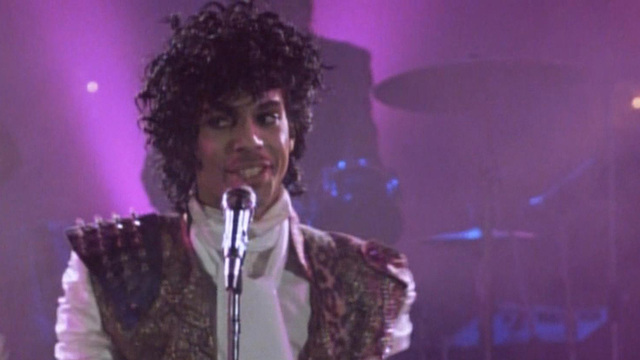 He made 'Purple Rain' a household name, First Avenue a landmark, and brought international fame to Minnesota's music scene. He will be missed." Sen. Franken praised the passage of the resolution. "Since his untimely death, the outpouring of appreciation for Prince speaks volumes to his influence on modern culture and also to the importance of the arts to so many people," Franken said. "I'm glad we were able to do something in the Senate to honor this true Minnesota icon." The two senators also honored Prince on the Senate floor last Thursday, with Klobuchar calling him "our neighbor, the superstar next door." Prince died last week at his compound in a Minneapolis suburb. Klobuchar recalled Prince holding a concert when Minnesota's WNBA team won the championship. She said that "even with all that success, even with all that fame, Minnesota never lost that sense that he was a beloved son." Franken, a former Saturday Night Live comedian, said Prince's "artistry, his innovation, his presence inspired and will continue to inspire millions of people."